A rescue in Clarkdale, Arizona, needs donations and volunteers to help the 30+ wolfdogs that were just rescued. 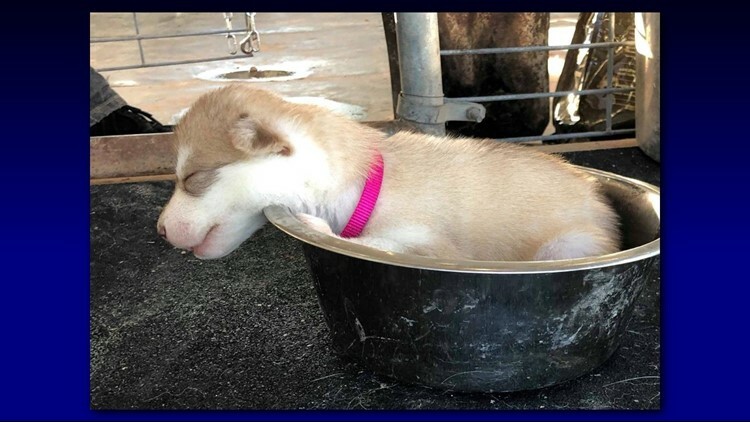 Dozens of wolfdogs and wolfdog puppies were rescued in California, and an Arizona dog sanctuary needs volunteers to play with them and socialize the dogs so they can be adopted. Pets Return Home is a rehabilitation and adoption sanctuary in Clarkdale, Arizona. They are in great need of donations, volunteers, and forever homes for wolfdogs. Pets Return Home is caring for 34 puppies with two pregnant wolfdog mothers expecting to deliver soon. They also have seven more mother wolfdogs they are treating. Mark Happe with Pets Return Home says they needs money and supplies to care for these animals and the other dogs they already have at the sanctuary. You can also apply to be a volunteer with Pets Return Home. They are in need of people to spend time with the puppies and socialize them. You can also help improve their corrals, feed and clean up after the animals. Volunteering is by appointment only. A puppy sleeps at Pets Return Home. Once the dogs are ready for forever homes, you can apply to adopt one on Pets Return Home's website. Potential owners need to be aware of the special responsibility of wolfdogs. Happe says they like to jump and dig. Wolfdogs are part wolf, and wild traits can be dominant. Before the adoption, Happe or another wolfdog expert will do a home visit. Adoption inquiries from outside of Arizona are welcome. A volunteer treats a wolfdog puppy. Wolfdogs are dogs that were bred with wolves to produce the hybrid. While it is illegal to own an animal that is full wolf, wolfdogs are allowed in many states. Arizona does not have a law regarding wolfdogs. Check with your county for their regulations. Happe believes these wolfdogs are "low content," meaning their wolf ancestor is a few generations back. The wolf part is often gray wolf, while the dogs are often Siberian Huskies, Alaskan Malamutes or German Shepherds. These wolfdogs were taken from a "puppy mill," according to Lassen County, California, via Lassen News. 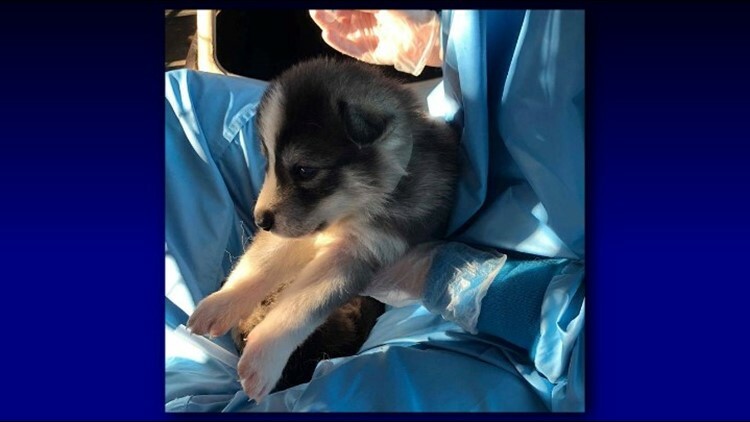 In an effort coordinated by Plan B to Save the Wolves in Sedona, Apex Protection Project in California, and Pets Return Home, over 100 wolfdogs were taken from a facility. It was a race against the clock after the county issued an abatement warrant for the facility to be cleared of the dogs. The rescue happened days before all the animals were to be put down. The deadline to remove the animals from the facility was extended into November since then. They prioritized the rescue of puppies and mothers, but there are about 60 more dogs they are trying to rescue from the California facility, Happe said. The wolfdog puppies at Pets Return Home range in age from one week to eight weeks. Pets Return Home specializes in behavioral therapy. They teach dogs healthy behaviors and put dogs through programs of varying lengths to help with any issues like aggression. The wolfdogs are being socialized and the puppies and mothers are learning healthy dog behaviors and confidence, Happe says. They've already seen a change for the better in some of the mothers. Some of the wolfdogs are also being treated for worms and Parvo. Sick dogs are being kept apart from the other dogs to keep the disease isolated. Pets Return Home is running DNA tests on the wolfdogs to determine their lineage.